Nowadays, the difference between work and home is increasingly blurred. Not only are more people working from home—with a range of tools from computers to 3D printers—, work environments are increasingly taking their aesthetic cues from domestic environments. While this blurring has transpired within particular types of work, larger scaled environments of production have typically been separated from domestic environments due to their specific needs and differential scale. Regions such as Elbinselquartier incite the challenging question of how spaces of production and living can co-exist and benefit from their proximity. 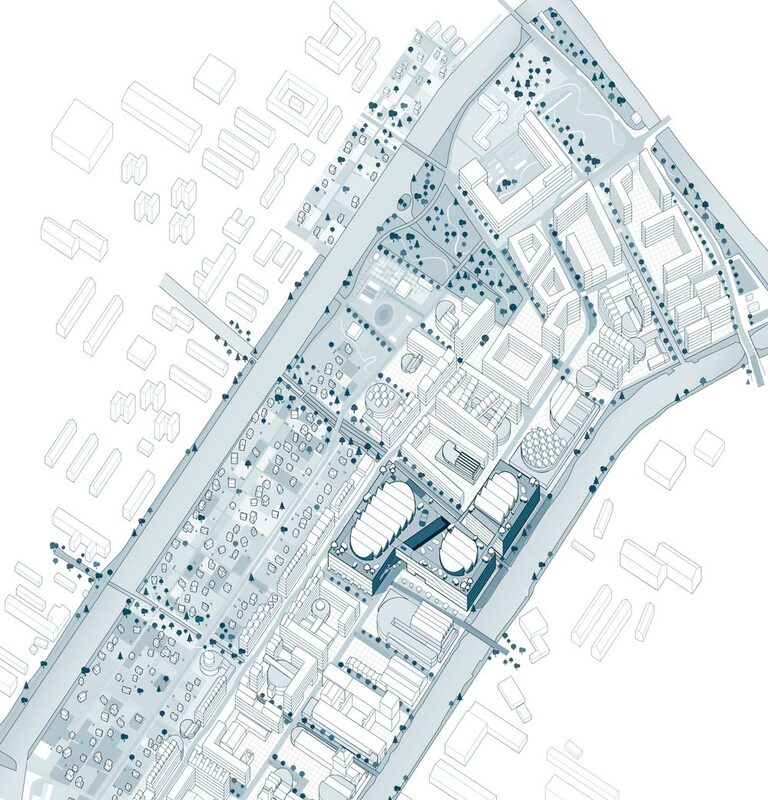 Elbinselquartier’s future success in creating an inclusive, affordable, and productive form of urbanity is contingent on how it reconciles different scales of time with diverse spatial uses. 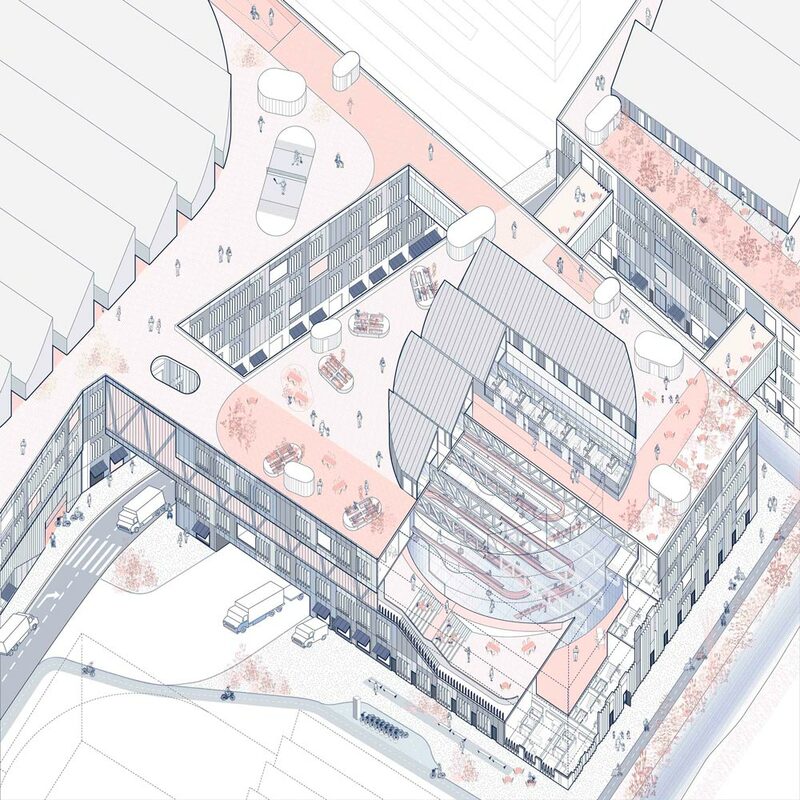 The opportunity within such peri-urban sites is the symbiotic negotiation of productive uses and domestic space to create a more flexible city that accounts for a range of users and uses. Two different contemporary trends are worth leveraging to reconcile how we live and work today. Firstly, traditional productive spaces—such as factories, logistics and distribution centers, etc.—are now complimented with a broad array of new ways to work—workshops, DIY start-ups, co-working spaces, and incubator hubs. While each of these has been considered a separate entity in the contemporary city, if grouped together, they could benefit by sharing equipment and auxiliary programs. Secondly, domestic living arrangements are evolving beyond the nuclear family to include new ways of co-living. Not only do these living arrangements embrace a range of users, through sharing amenity spaces they inherently build communities and create a higher quality of life.